By using Landingi, you'll be able to focus on building landing pages that are designed to turn traffic into conversions. 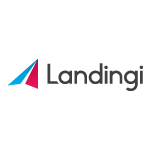 Integrate Landingi with Localizer will drive conversions even further by translating your landing pages to other languages. With one line of code, Localizer can be easily integrated and give you the ability to add multiple languages that ensures your Landingi pages are served in the right language to the right person every time. How can Localizer translate Landingi?